Upper Deck releases O-Pee-Chee - a set-collector favorite! Though O-Pee-Chee is considered a lower-end brand, it has always contained a wide-ranging variety of content that collectors at all levels could enjoy. This year's release is no different. O-Pee-Chee boxes are loaded with unique inserts, great autographed cards, and a some amazing team-themed patch cards. It's a ton of packs and a ton of cards for not a ton of money. That's a pretty nice combination. Now this is what I'm talking about! I absolutely love the OPC base card design this year. More than any other recent OPC release, this year's look brings back the feel of classic 80's OPC. The graphical style, the colors, and the cardboard all come together perfectly. If you weren't around back then, or if you just don't like 80's card design, then this probably isn't going to be too good for you... but for collectors like me... this is a really sweet looking set of cards. I wish Topps baseball would do something like what OPC has done here. Forget the glossy, plain, and boring stuff! That's so pedestrian. 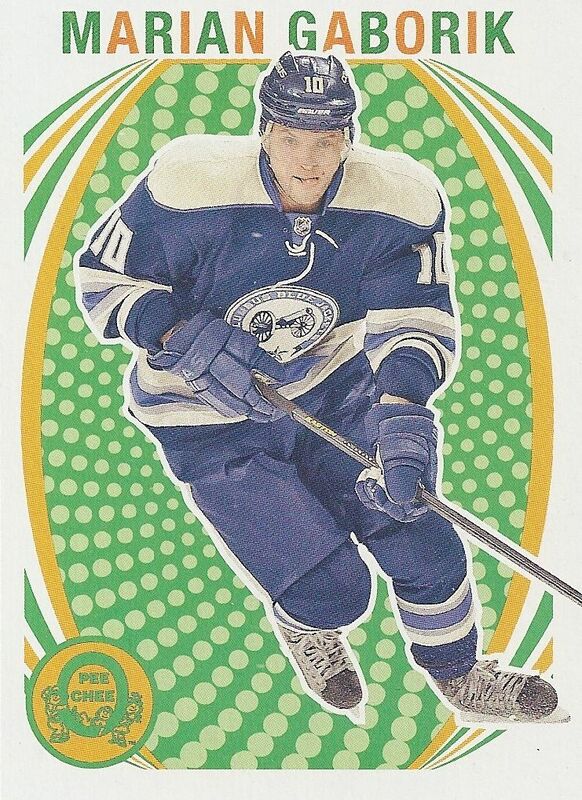 Huge props to Upper Deck for giving OPC this fabulous retro design. My only complaint would have to be with the picture selection. Score proved that cards at this price point could feature amazing photography. The photos in OPC are pretty lackluster. The backs of the OPC base are more than adequate. They feature all the relevant stats in a well-thought-out design. The elements work great here. The backs have more of a modern feel to them, but it doesn't detract at all from the overall retro feel. The brown cardboard showing through probably helps keep things placed firmly in retro-land. It has been common practice for OPC to have special subsets for legends and rookies. This year the legends have not been given special treatment; their cards look just like base cards - which is fine. Rookies, however, still have a unique design that sets them apart from all the other base cards. The rookie cards are distinctly different than the base, but still have design elements that relate them back to the main set. The Marquee Rookie logo in the upper-left corner is well done - it's dynamic. These cards have a sense of movement to them that goes well with the rookie theme. They have a bit of a modern sensibility... but it works beautifully in that it represents the rookie card feel perfectly. I'm impressed. O-Pee-Chee is a product that does not guarantee a hit per box. My box did not have an autograph, but it did have something pretty unique inside. I also found plenty of retro cards as well as a few very fun inserts. Let's have a look. Wow, check out this year's retro rookie design, it's certainly eye-popping! But I like it. I am a real fan of cards being fun and exciting - especially the lower-end stuff. And this definitely qualifies as an exciting design. My OPC box came with all rookie retro cards. I have been hearing reports that some boxes are full of rookie retros while others contain standard retro cards. Be on the look-out for these retro rookie hot boxes. It was an interesting choice by Upper Deck to do things this way. I'm not sure how positively collectors will react to this packing configuration. Well, I'm happy with getting the rookie retros, but I feel bad for the people who only got the standard retros. Here's a look at the standard retro card. I got this Gaborik in a pack from another box at the card store. 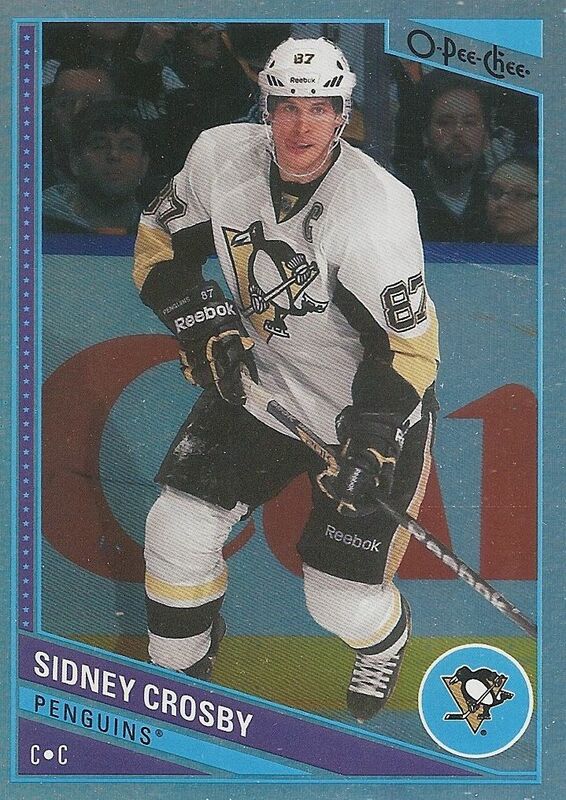 As you can see, the design elements are very similar to that of the retro rookie cards, but rather than having a retro rookie logo at the top, the player's name is featured instead. Rainbow foil cards make their return again this year. You will get a few of these shiny parallel cards per box. As with previous years, the foil on these cards shimmers brilliantly. You can definitely see the colors of the rainbow when these cards are in bright light. I have to say that the foil look doesn't work so well with the main base design. It's a bit too flashy. A Topps Chrome-type flatter foil would have been perfect. Black foil parallel cards serial numbered to 100 parallel the rainbow cards. The black borders subdue the rainbow shine and shimmer and actually helps the card in terms of its look. Player collectors will undoubtedly try to track down this and all the other parallel variations to complete their collections. The sticker cards are back with their familiar bright yellow borders. There are plenty of stickers per box, so finding the one you want shouldn't be too difficult. 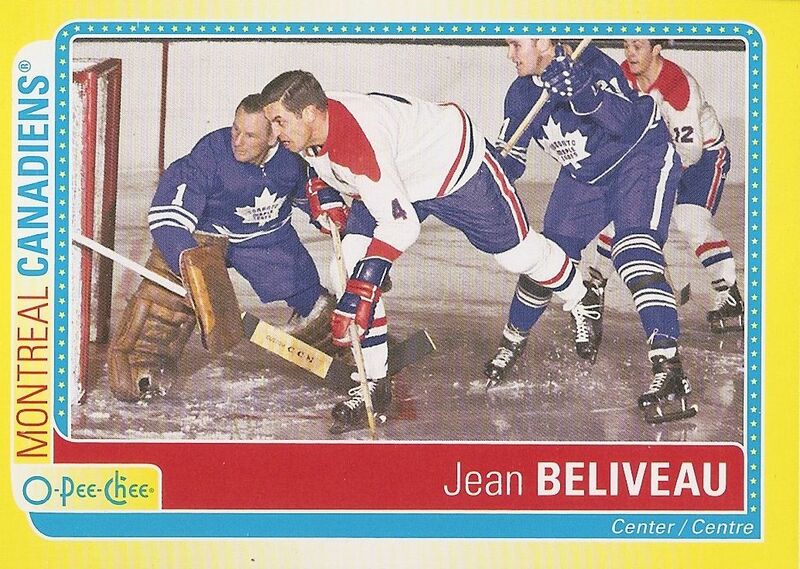 I really like the Jean Beliveau sticker card shown above. What a great picture! These sorts of cards really do make OPC a fun product to open. I wonder if anyone uses these stickers... where do people stick these things? Speaking of fun, here is something kind of goofy and silly... ring cards! These cards are meant to be punched-out and folded around like a ring. These type of punch-out cards were done in the golden age of cards, but have been a rare occurrence in modern times. It's a neat idea that I think some collectors will definitely appreciate. Manufactured team logo cards are back. They were pretty hot pulls from OPC last year, and I'm sure they will be this year too. There are so many different variations and tiers of difficulty with these. Getting any one of them is a difficult task though, as they come one in every three boxes on average. I would love to pull a San Jose Sharks one of these! I'll probably have to search on eBay for one... and pay a pretty hefty price! This year OPC will again give Canadian collectors a chance at their own red parallel set in the form of a wrapper-exchange program. I really wish US residents like me could do this... but alas... it was not to be. If you're in Canada, take advantage of it! You can get some cool red parallels as well as some new stamp cards. Check out Upper Deck's blog for more information: Click here. 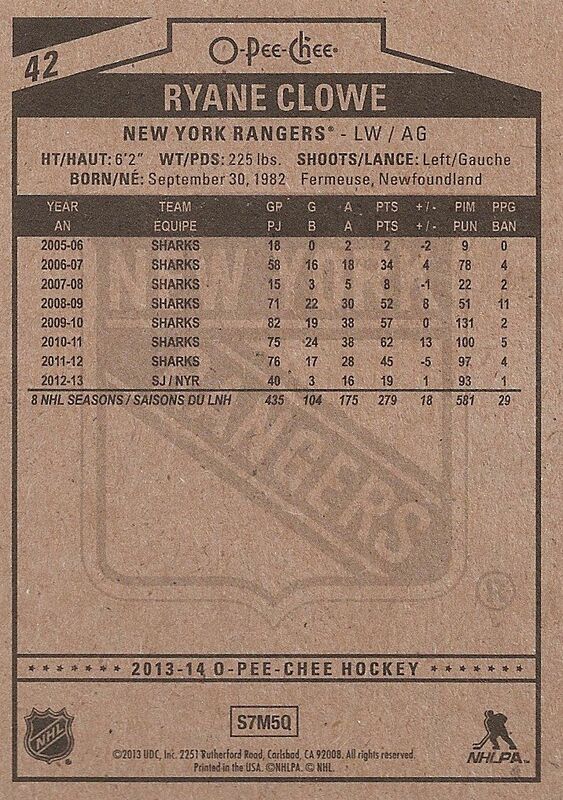 O-Pee-Chee does more than an adequate job in rivaling Score for lower-priced card supremacy. Actually, it's pretty hard to compare the two as they offer vastly different types of cards. I can say that I enjoy what both of them bring to the table. OPC definitely brings the retro-feel full-on. And I love it! The feel of the cards both look-wise and in terms of touch make me want to collect them. And to add to that, there are some really awesome inserts available to find. The team logo patches are a huge draw. Though I didn't pull and autograph, Upper Deck brings out the big guns with Gretzky, Lemieux, and Orr available to find. Imagine getting one of their autographs in a pack of OPC! That would be insane! And Team Canada autographs are also in the mix. OPC is very strong this year, it's probably their best offering in a good long while. I definitely recommend getting in on some! Even when OPC produces hits, they end up being manufactured patches...At least its something i guess. Other than that, I think its a great box! Not totally crazy about the base design for this year, but I love the fun inster sets they continue to put out. Great job OPC and fantastic review as always! how was your collation? did you have the same problems most others have had? check out my review that I posted yesterday on Just A Bit Offside if you want to see my box break. and if you don't want your wrappers.... this Canadian will gladly take 'em. i didn't have any collation issues at all... but it was just one box. i don't think i hit any doubles. unfortunately, gave all my wrappers to the shop owner! The retro design in the mock up almost gave me a seizure. But seeing them live makes me really like them. Personally I think some boxes having 32 retro rookies and some having none are ridiculous. I like the idea of rainbow and retro hot boxes, but I think people are going to be pretty disappointed to find not one retro rookie in their entire box. Another downfall for me is the base set is not in order by team. Was contemplating collecting the base set until I saw this. O Pee Chee has a greater chance at landing something huge like a SSP Team Logo Patch... but I think Score has a much more collective feel to it with the less watered down rookies (60 as opposed to OPC's 100), and better subsets. 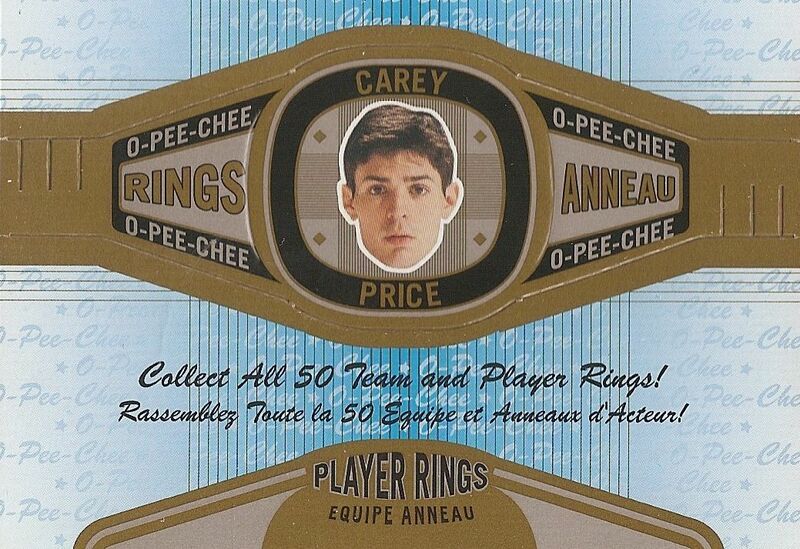 I don't know about anyone else but I'd feel a much greater urge to collect the First Goal set as opposed to the OPC Rings set. Overall, OPC is a FUN set that people like buying regardless of resale value. UD achieved that "fun" component with O Pee Chee along with the best designed base, retro, and rookie design in a LOOONG time. But I still think the hot boxes and "cold" boxes with no retro rookies will be strongly disliked by almost all collectors, while they will be loved by the select few who manage to score a hot box. Thanks as always for the contest pal. Oh man I would love to pull a Orr, Gretzky or Lemieux auto outta this set! Makes me wanna buy this product even more! Nice box break and great review like always. Really liking this product, especially the retro rookies! May have to pick some up! I have a problem with O-Pee-Chee. I heard that their manufatured patches of team 'script' logos sell for hundreds of dollars, is that so? and if so, why are they so damn ugly? This years is ugly too. Why have retro rookies only in select few hot boxes and not throughout every box? The ring cards make me want to never buy opc again. They're so childish that I wouldn't have even wanted to pop it out and wear it when I started collecting hockey cards at age 11. This product was more expensive than Score and it sucked big time. I really like o pee chee every year becouse it dosen't change. is there a difference between "rainbow" and "rainbow foil"? I have seen some cards on ebay listed as rainbow, others as rainbow foil, but based on sites it looks like rainbow is only a foil. The past couple of seasons have looked a lot more like cards OPC might conceivably have made, but the backs are horrid. 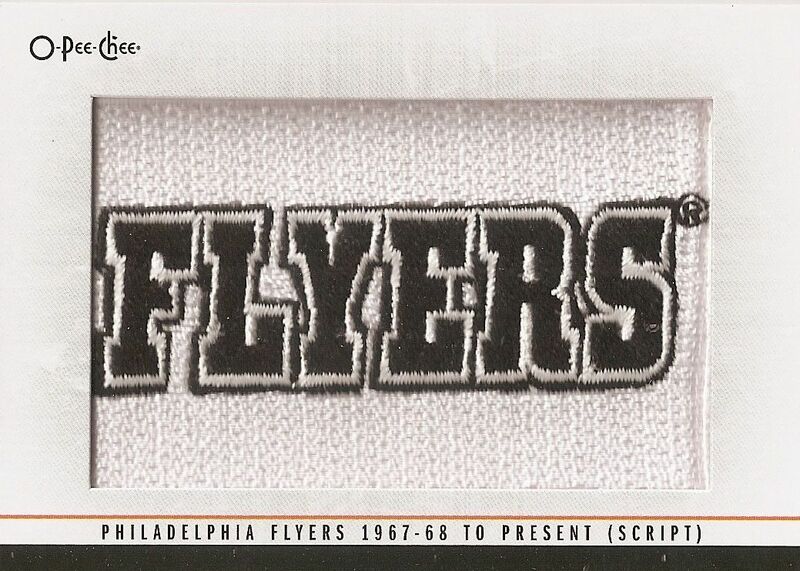 If UD could ever figure out a proper OPC card back, they would really have something. Neat! I really like that fyers team manufactured patch! (is if FT?) and also the Hamilton RC retro. he was one of the best rookies! The team rings are kind of annoying, I would hate to try some OPC wax and pull that but till a cool pruduct! Really like the base card design and rookie design. Really pleased that they took at the Marquee Legend Rookie cards because they weren't true rookie cards. 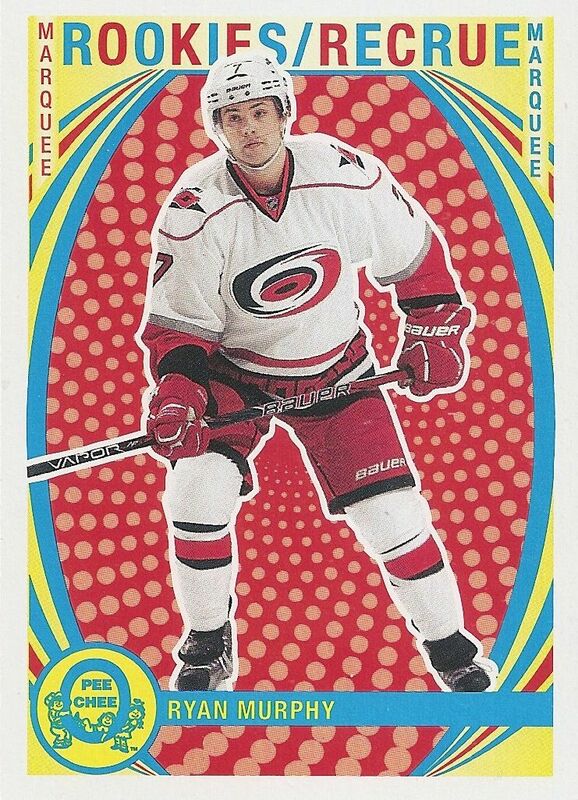 I've always liked o-pee-chee black borders and like you said i find this years are very good looking. The reason i like black borders is because my grandfather who never buys cards bought me one pack out of a box a few years ago and i got the only black border in the box. Anyway i really like everything about this years o-pee-chee except how some of the legends don't have their own set anymore. It was cool to me how the older players were worth just a little bit more and a little more difficult to pull. o pee chee this year is really great since they added way more inserts and the manufactured patches are great as always. Like that there is a big set with a lot of inserts. I also like the manufactured patches. The only thing that I didn't like was that there was not an autograph in every box. I really like the retro rookie cards and the team patch. OPC made it look as it did from there earlier work, but now with more inserts. 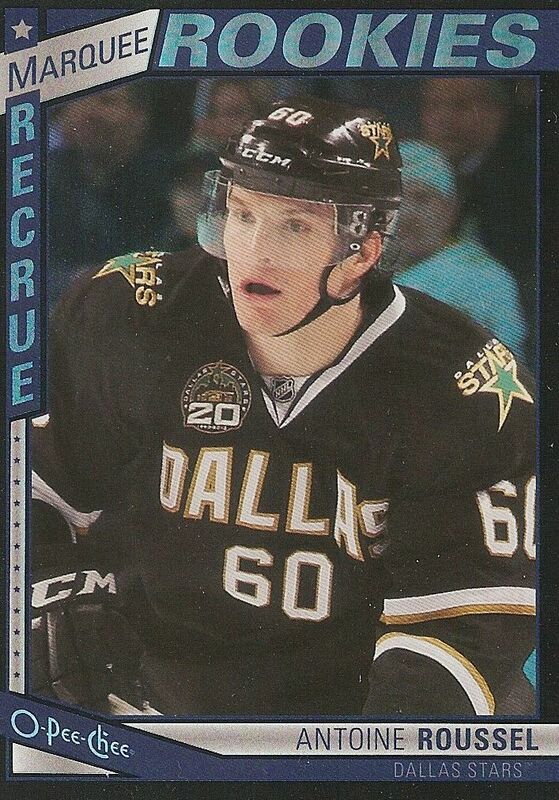 I think upperdeck should have waited till the season started. And put the best rcs in here. Lots of these rookies are no names. But ya great product I will defenitly rip some of this. 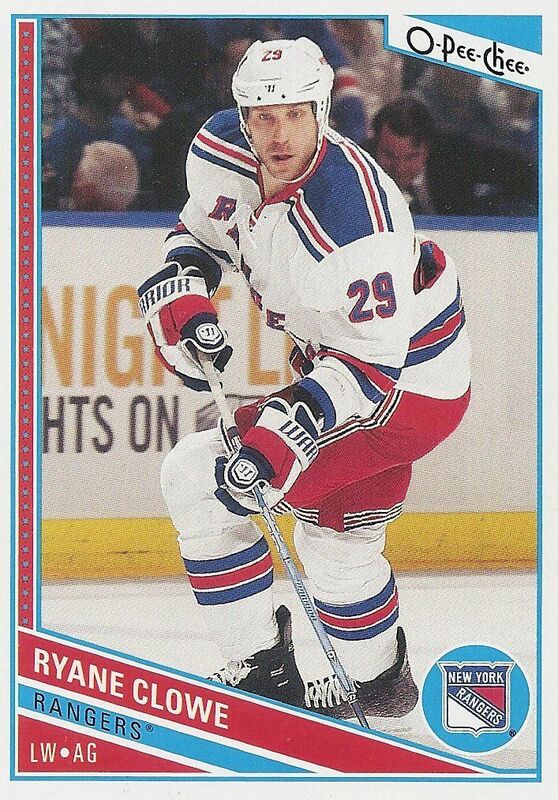 Personally, I'm not a big fan of the retro cards. I think that OPC could have been better by adding more value to the product. The manufacture patches don't do it for me. However, my favourite part of OPC this year has got to be the rookies design and I think its been better than the past years of OPC. Thanks for the contest Luke and nice review/break! i really enjoyed this product the amount of retro rookies you got was insane, nice break luke! This product is great for old time collectors that want to bring back memories always love opc! I really like the look of the retros. This is a decent product but they should step it up with the hits. Your review was great as always! After I read it I decided to buy a box and I'll open it Saturday when I get home. Pulling a legends auto would be awesome! 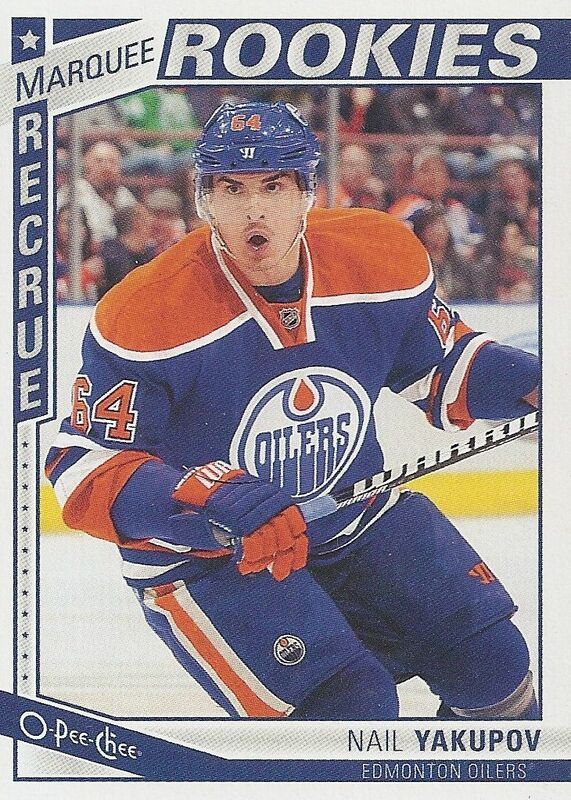 I enjoy OPC as it gives the newer cards a different feel as its a more retro feel, so its nice to get as they are different to the rest of the the hockey card products that comes out. OPC is one of the nicer lower end products! Not a bad product ! It's got some interesting looking cards in it . But it's always fun for kids to collect and set builders to build ! The hot boxes are pretty sweet when you hit them ! Eh, can`t say much for OPC but i like the retros and the autos. one of the best OPC designs for the last couple of years. OPC is for me a great product, cheap..!! :) to bad the autos is soooo hard to get..
OPC is a nice product! Nice box and great review! That was a good break. The colours they put in are great! opc did a good job this year as you described. Good fun watching you open the packs and talk about what you were getting i'm in Toronto and started collecting cards in the late 70's She got me some boxes the other day but there are only 6 cards per pack and 10 packs/box with an exclusive insert card in each box. I don't thik Im gonna open them lol just leave em on a shelf but watching you opening them REALLY makes me wanna open them. Good stuff!